I was lucky enough to take another anxiety ridden trip to London recently to see one of my favourite bands perform live. There wasn’t much time for me to wander around before catching the train the next day, but I did manage to pop into a few bookstores before heading home. Unfortunately, I didn’t have my camera with me during this trip, so I couldn’t take as many aesthetically pleasing pictures as my shutterbug-self would have liked, but I did manage to snap a few pictures here and there on my phone. Sticking with my promise to write more content that doesn’t revolve around reviews this year, I figured I’d share my thoughts on the gorgeous, independent bookshops I got to poke around in whilst wandering around the Bloomsbury area. 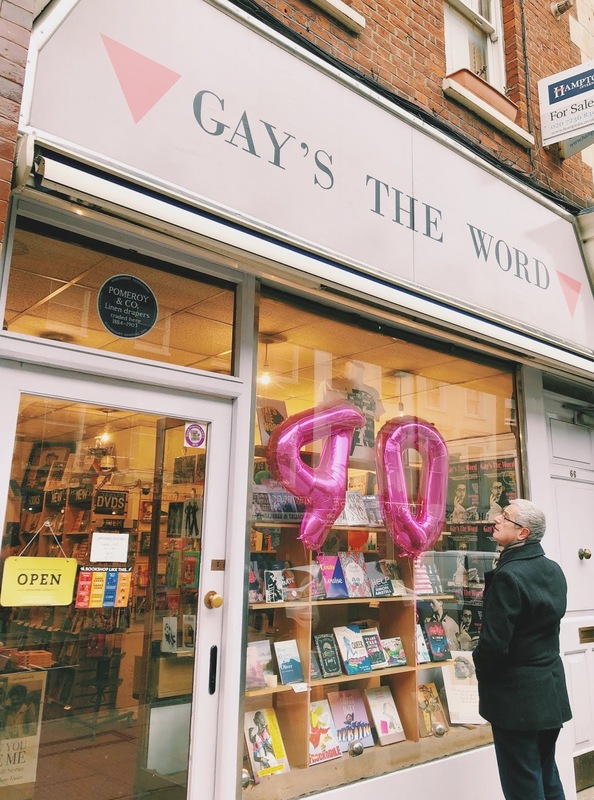 First up, I paid a visit to Gay’s The Word, the wonderful LGBT+ bookshop near Tavistock Square which is celebrating it’s 40th birthday this year! I was super excited to be visiting this place, especially because I am a huge fan of the 2014 movie Pride, which centers around the bookshop. 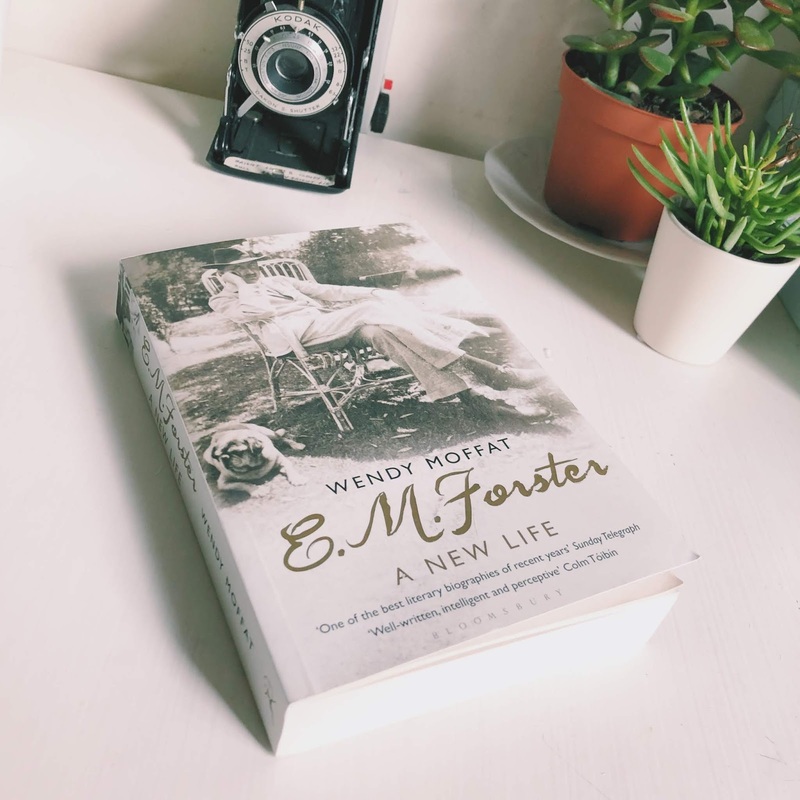 Whilst I was there, my wonderful friend Jasmine sneakily bought me a copy of E. M. Forster’s biography, which I’ve been wanting to read forever, because she’s an absolute SWEETHEART. I’m so excited to finally start reading it! 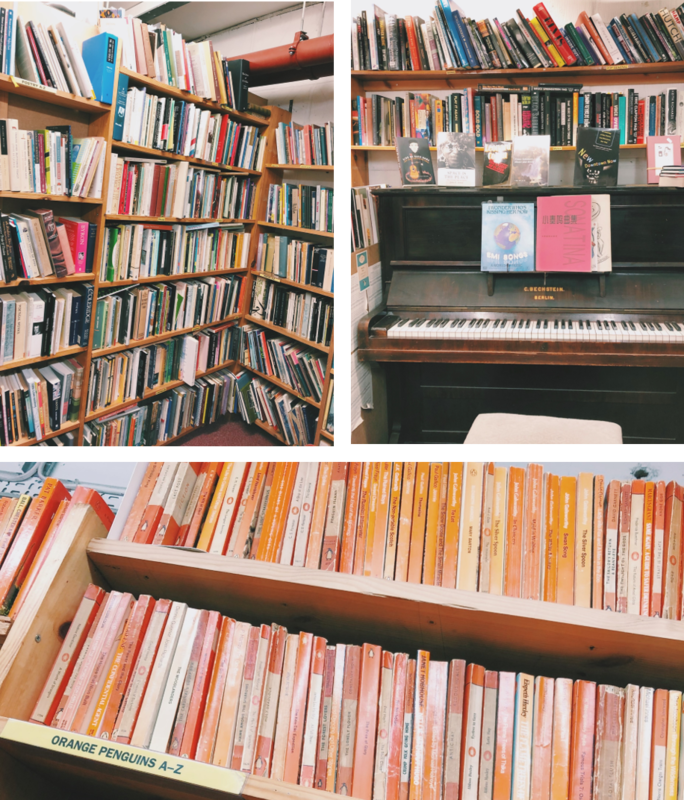 This shop has whole shelves dedicated to orange Penguin Classics, which are my absolute favourites. 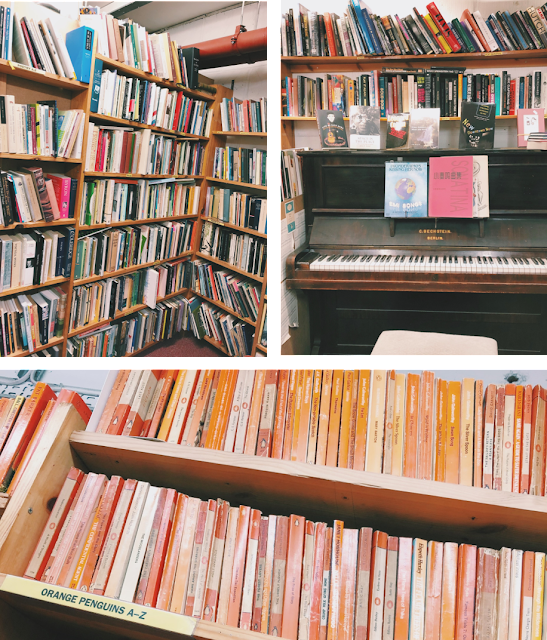 Not only is it filled with gorgeous books, it also has A PIANO. I’m in love already. This is the kind of shop you’ll probably end up lost in for hours. Unfortunately, I didn’t have hours, so my visit was short but sweet. 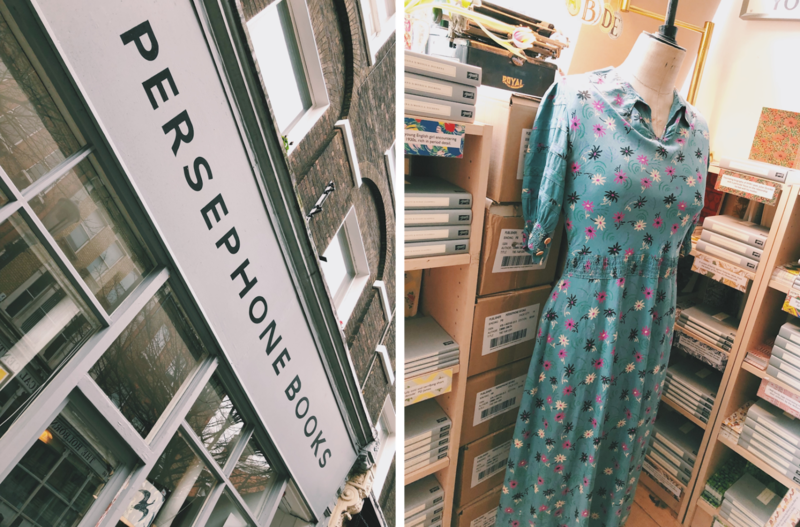 Last up on my tiny yet fulfilling trip was Persephone Books. Jasmine told me about this shop a while ago so I’m super grateful I got the chance to actually visit the place with her! This shop was first opened in 1999 and publishes out of print female authors. It’s such a beautiful little place and as a vintage enthusiast, I appreciated the aesthetics. There’s also bookmarks to match the art inside the books that they publish. 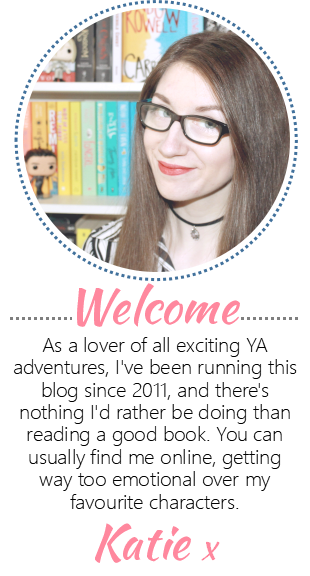 This is such an important shop and I would recommend popping in if you’re in the area! 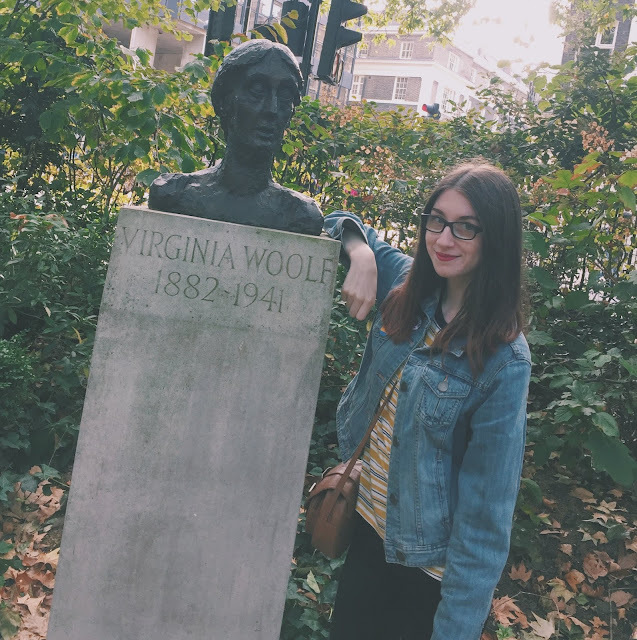 Though I only got to visit three bookshops whilst I was in London, they were all wonderful. If I manage to make in down to London again, there are so many more places I’d like to check out. 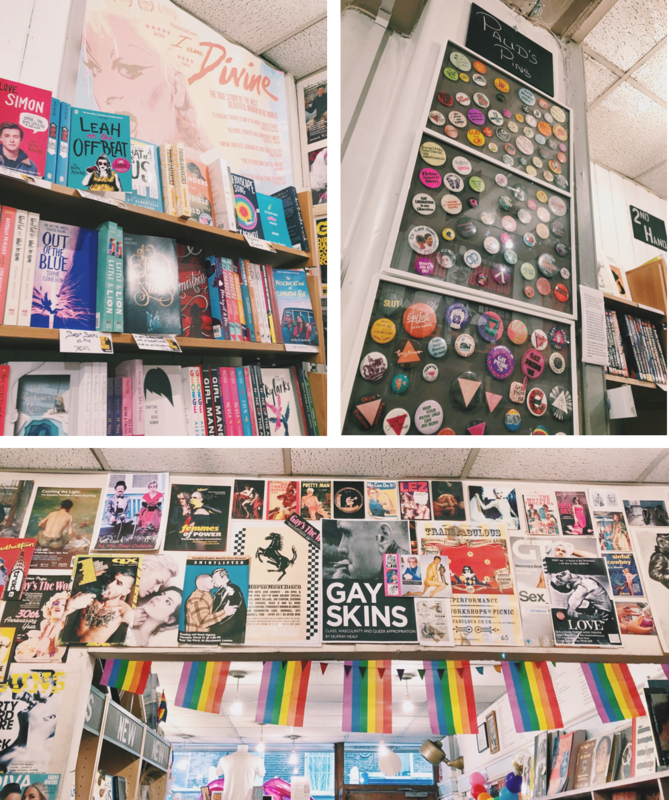 What are your favourite bookshops to visit?